Hehe what sad people we were last night after our fortnightly barbeque at Bedford towers……. We all crowded around the TV to eagerly watch episode 7 of the first season of Top Gear Australia to hopefully see ourselves in the crowd of the Top Gear studio. 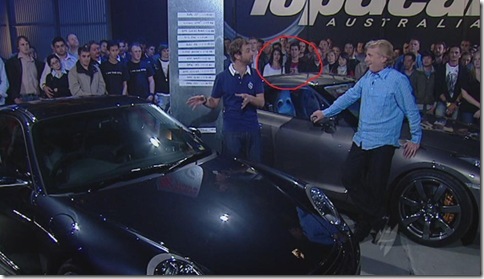 Back to 3 weeks ago and Sanna, myself, Chris and his friend Ash had bagged tickets to be in the studio for Top Gear Austrialia for a evening out to see how it all worked. 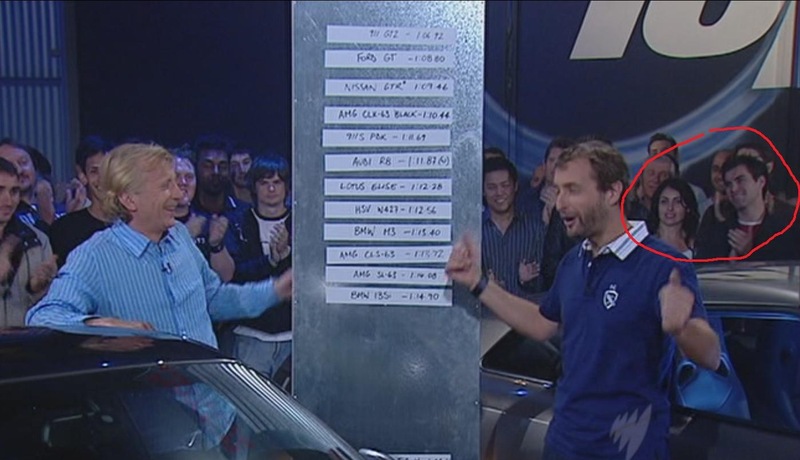 We were in the Top Gear studio for 3 hours which was just a large done up hanger on the side of Bankstown aerodrome. Everyone foot shuffled around to try and get a good position, trying to get on camera in a frantic bid to try and ‘predict’ where the camera crew were going to go next to film the next shot. 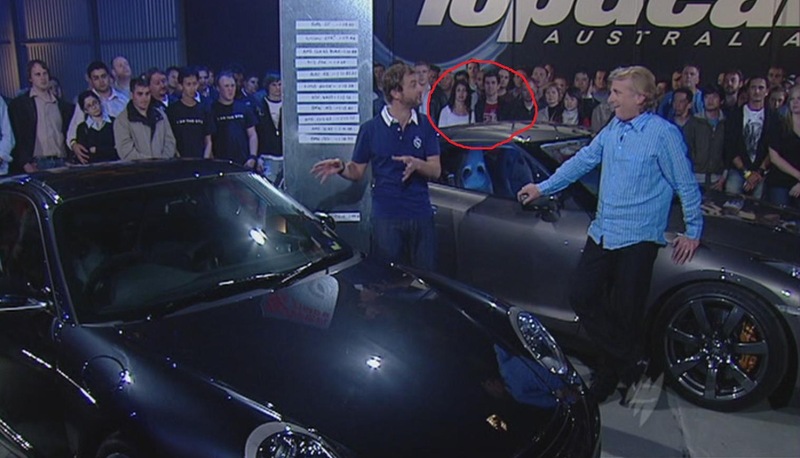 But we managed to do it, me and Sanna were in the background for all of the Porsche GT2 versus Nissan Skyline GTR feature smiling and clapping away on the directors queue like well behaved audience members. My friend Rob was there also as well as friends I saw in the queue outside from Lotus Australia and other car related contacts I have but I didn’t see them on screen, I guess we were lucky to get in shot. Will I do it again, yeah sure it was a interesting evening, best bit was seeing them all stuff their lines up many times, its good to know their not perfect and make quite a few mistakes. 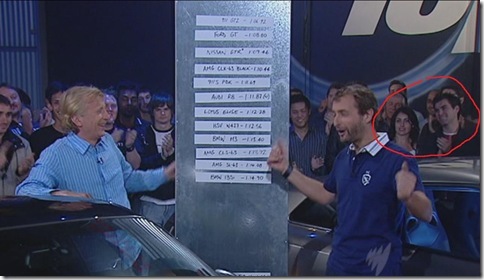 I think for season two of Top Gear Australia (if they make it that far) I will request some tickets to visit again.